The big rumor that’s been going around the past few days is that Warner Bros. is planning on rebooting Batman in the Justice League movie first before spinning him off into his own film series. One of my reboot theories from the other week suggested this idea, and aside from John Blake as Batman, the Justice League reboot idea was the most popular theory. And, the more I’ve thought about it, the more I’ve realized just how great a decision this is by Warner Bros., assuming it’s true. Here are three reasons why I think rebooting Batman in Justice League is the best direction for the franchise to go in. Having Batman be rebooted first in Justice League is a great idea. It not only shows that Warner Bros. is committed to making a great Justice League movie—considering that the fate of a new Batman franchise and that of other DC characters is contingent on its success—but it also lets people know from the get-go that this Dark Knight will be the exact opposite of Christopher Nolan’s. What made Nolan’s Dark Knight Trilogy so successful was the fact that we could relate to Bruce Wayne and his Gotham City. It was real; there was nothing supernatural or extraterrestrial about that Batman or his world. After TDKR was released, people immediately began questioning how Warner Bros. would reboot Batman. Would they try and make another reality-based Batman film? Everyone knew that if they did it would just be compared to Nolan’s films. Warner Bros. seemed to realize this, too, and decided to go in the opposite direction. By putting Batman in a Justice League movie you are letting everyone know that this isn’t going to be a rehashed version of Nolan’s Batman. A Justice League movie is not only going to have Green Lantern, Flash, and Superman, but it’s likely going to have some sort of alien component to it–whether it be a villain from outer space or some use of alien technology. We’ll likely see Batman fighting outside of Gotham City, possibly even in space. Can you imagine Nolan’s Batman taking on aliens in space? No. But, the thought of a new Batman fighting aliens in a Justice League movie? Sign me up! Let’s face it, Nolan’s Batman was great. It redefined the way superhero movies are made. No Batman reboot will ever be able to come close to it, at least not right now. It is too fresh in our minds and too dear in our hearts for us to even consider comparing it with another Batman franchise, or even watch someone try to recreate what Nolan did. It’s not happening. But, Warner Bros.’ decision to put Batman in Justice League first will allow enough time to pass for us to not only see another Batman trilogy—the likes of which we’ve never seen before—but it will make us yearn for another origin story again once the new film series has run its course. Justice League does not have a release date yet, but we know Warner Bros. had planned on rebooting Batman in 2015, so for argument’s sake let’s say Justice League comes out then, as unlikely as it is. The soonest a new Batman film would hit theaters is likely three years after Justice League’s release, in 2018. Assuming that the new Batman series follows roughly the same release pattern as Nolan’s films, we can expect the third and final film in a new Batman trilogy to be released around 2024 or 2025. By that point, it will have been 20 years since the release of Batman Begins. To put that in perspective, there were five Batman movies made between 1989 and Begins’ release in 2005—a 16 year window, but feels like a lifetime. By 2025, there will be a whole new crop of youngsters falling in love with Batman who don’t remember seeing Begins in theaters, or were even alive when it came out. Rebooting Batman again to include an origin story would be the perfect way to reintroduce him to new fans, and even fans of Nolan’s work would be anxious to see this. Remember, absence makes the heart grow fonder. It’s no secret that Warner Bros.’ desire to make a Justice League movie has been fueled in large part by Marvel Studios’ success with The Avengers. 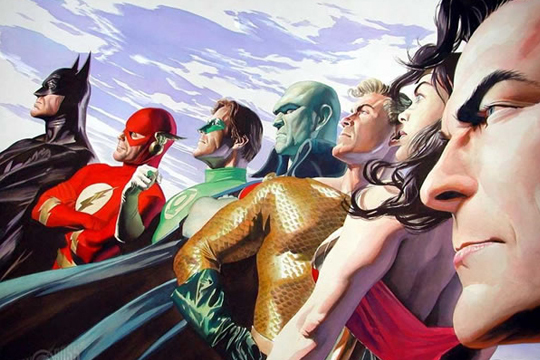 There was talk of a Justice League movie being made back in 2007 before it–thankfully–fell through. Warner Bros. knows it’ll be hard enough to make a solid Justice League movie, but what would be even more difficult would be to make Justice League after rebooting Batman in his own film. If Batman got his own film before Justice League, the whole story and script would have to be based on the idea that somehow Batman ends up joining the Justice League. Instead of trying to figure out how to create a Batman movie, and for that matter a Batman universe, where the Justice League exists, they’ve decided to flip the script, no pun intended. By rebooting Batman first in Justice League Warner Bros. is establishing his world and Gotham City for us. Even if we don’t see Gotham much in the film, if at all, we’ll know that flying superheroes and aliens aren’t out of the realm of possibility, and that seeing them in Gotham City with this new Batman isn’t that farfetched. Plus, we’ll be able to see how this Batman holds up against Superman and the other Justice League members. Remember, Batman is the only member of the Justice League without any superpowers, so I can guarantee you his attitude and demeanor are going to be the focal points of the movie in terms of how he deals with the other members of the group. Making him a badass with a killer suit and array of cool gadgets will have people lining up around the corner to see him in his own solo film. While we’ll still years away from a Justice League film, I’m personally counting down the days until the Dark Knight returns to the big screen. And, if this decision from Warner Bros. turns out to be true, I feel confident in the future of the Batman franchise. 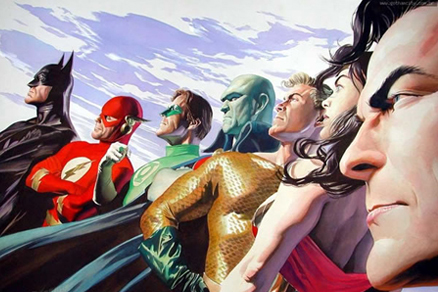 Oh, and while you’re at it, Warner Bros., how about using Justice League as a way to reboot Green Lantern? Is rebooting Batman in ‘JUSTICE LEAGUE’ first the right decision? I agree, but I think you missed an important point. The Avengers movies were in successful in part because Marvel took the time to create introductions for all the lesser-known characters like Thor. Why waste your energy introducing Batman when the mass movie audience doesn't really know Flash, or Wonder Woman, at least not in the same way we know Batman and Superman. You're right, Jack. I feel 'Justice League' is already heading down the wrong track. You need to introduce Flash, Wonder Woman, and even Green Lantern again to make people connect with him otherwise it's just going to be a confusing mess. With everything at stake for Batman and the other DC franchises, why not take your time and do it the right way, like Marvel? I think there's a reason Christopher Nolan didn't want to be a part of this.